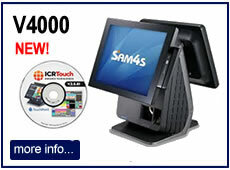 We supply Point of Sale (POS) systems with software that are ideal for all types of restaurants. Whether you run a fine dining restaurant, a take-away or fast food operation we have a number of different systems to suit various restaurant requirements and budgets. 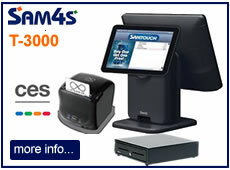 Our best restaurant EPoS solutions include all the components you require to setup and operate your business including receipt printer, cash drawer, cables and EPoS application software are all included. 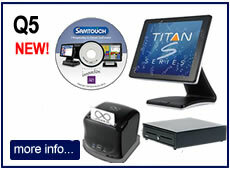 Optionally add kitchen printer, bar printer, kitchen monitor system, wireless waiter terminals, dallas keys or fingerprint reader for staff login, barcode scanner for take-away counters and Caller ID / Address Lookup for telephone orders. We can setup your food and drinks menu and provide on-site installation / training as part of our service package. We have specialist solutions for indian restaurants, thai, chinese and japanese restaurants, lebanese, mexican and italian restaurants including pizzeria, school / corporate canteens, hotels and fine dining restaurants. These pos solutions cater for eat-in, take-away, collection and food delivery orders. With our more advanced epos solutions, there is the option to link to your own internet ecommerce website to automatically process online food/drink delivery orders. Our till systems for restaurants offer a wide range of features suited to the different types of food and drink serving establishments. Please note that not all features are available on all our systems - check the specification of your intended system if you require a particular feature. We also support a number of other langauges for kitchen order printing fo restaurants where speciality chefs may prefer their own language. The kitchen ticket can be printed in Chinese, Urdu or some other supported language, while the rest of the system operates in English. Staff can switch to their orders by logging in with their dallas key, fingerprint reader or with their username. Orders may also be retrieved by table number or from the bar tab list. Our wireless handheld waiter terminals are designed for use in busy restaurants and allow food and drink orders to be instantly transmitted to the kitchen or bar. it also helps reduce your staff and operating costs, as fewer waiting staff are required, yet maintaining a high level of customer service as your order-taking staff do not have to keep walking backwards and forwards to the kitchen or bar to pass on orders. We offer solutions using the Widefly WF43 compact handheld terminal starting from £950 per terminal inclusive of software, charger and menu programming. We also offer IPAD and IPhone based ordering solutions with our advance RP5 system. Table Management allows you to keep track of post-pay customer bills, either for tables. bar tabs or function rooms. You define the zones within your restaurant, for example, ground floor, terrace, balcony and so on and specify the number, size and shape of each table. 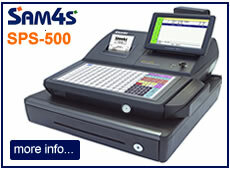 The epos system allows you to allocate menu items to a table, print interim bills and final bills. More sophisticated features including splitting bills between several people on a table, transferring bills or certain bill items from one table to another table and monitoring the stage for each table in the restaurant (eg. menu, starters, main course, desserts, final bill, payment). The layout of your menu on the system is very important as it determines how quickly and accurately your staff can operate. Our restaurant epos systems allow you to have hot-keys on the front screen for your most popular food and drink items, you can colour co-ordinate menu buttons (eg. cold drinks in blue, hot drinks in red etc) and you may also incorporate text, pictures or graphics on menu buttons to further speed up identification for staff. You can define a series of hierarchical screens and pop-up windows for the different sections of your menu. For example, in a restaurant you may have your menu split into Starters, Main Courses, Desserts, Soft Drinks, Alcoholic Drinks and so on or you may have a more detailed structure such as Chicken Main Courses, Fish Main Courses, Vegetarian Starters and so on. Our restaurant epos systems will allow you to structure the on-screen menus to suit your particular requirements and you can add/change items whenever required. In addition, you may also have pop-up menus for condiments and cooking instructions. Where you require customisation in a restaurant, for example, for pizza toppings or sandwiches, it is possible to build a screen layout to facilitate all the options. For example, white bread or brown bread, extra tomatoes, no onions, ketchup, mayonnaise, chilli sauce and so on. Cooking options such as mild, medium or hot spicy can also be programmed. The 'floating clerk' feature is very useful on a restaurant network with multiple terminals. It allows staff to retrieve a customers bill from any till on the network, add items to the bill and to finalise the restaurant bill. With stock control, you can keep track of all the food and drink items at your restaurant. You can specify minimum stock levels to prompt re-ordering. With Recipe / Ingredients Management, you can specify the portions that make up each menu item - for example, a slice of chocolate cake may be made up of 50g of flour, 30g of sugar etc. The system will deduct the items from stock, either as whole items or proportionately, as they are sold. With stock control, you can sell items by the whole (eg. bottle, can) or you can serve measures such as pint, half-pint, single shot, double shot, glass etc and the restaurant epos system will adjust the stock levels accordingly using fractional values which have been pre-defined. With the staff timekeeping module, restaurant staff are required to login and logout at the start and end of each shift and to record any breaks. This allows you to generate summary reports showing the hours worked for each person to assist in wages calculations. With our advanced restaurant epos systems, it is possible to program in meal deals, promotions and other discounts for automated price calculation. It also allows for 'happy hour' and 'early bird' types of pricing that is linked to particular time periods.